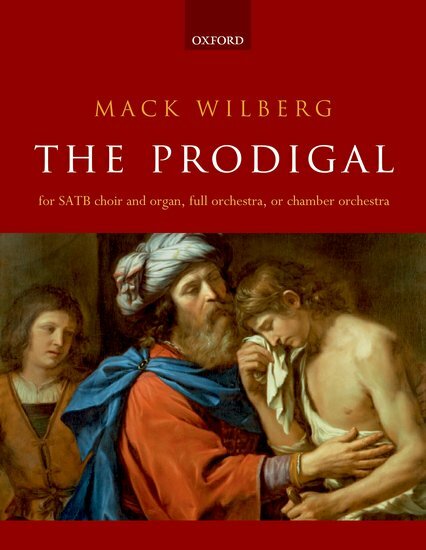 With a text by David Warner on the parable of The Prodigal Son from St Luke's Gospel, this dramatic choral work brings to life the ancient, universal story of reconciliation and belonging. The closely woven text and music feature an expansive range of expression-plaintive, exuberant, and resolute-before concluding with a transcendent coda that gives way to reverberating 'Amen's. With echoes of some of the minimalist elements of Wilberg's Requiem, as well as Arvo Part, Henryk Gorecki, and John Tavener, the work is scored for mixed voices without soloists, allowing the choir to function like a Greek chorus-sometimes narrating, sometimes participating in the action, sometimes reflecting on it-all underpinned by organ, or orchestra, or chamber ensemble.